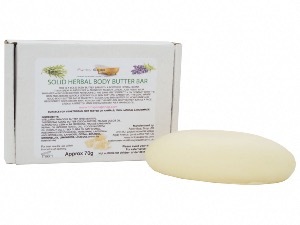 THIS IS A SOLID BODY BUTTER BAR WITH A REVIVING HERBAL SCENT. 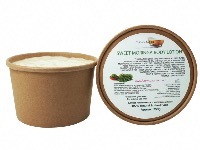 IT IS A GREAT PLASTIC FREE ALTERNATIVE TO BODY LOTIONS. JUST RUB ON YOUR SKIN AFTER A BATH OR SHOWER AS REQUIRED. 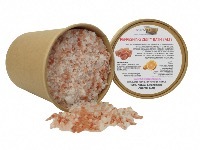 THE BARS MELT PERFECTLY ON CONTACT WITH THE SKIN AND ABSORB QUICKLY LEAVING YOUR SKIN SOFT AND CARED FOR. 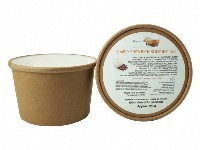 THIS ZERO WASTE SOLID BODY BUTTER BAR IS MADE WITH COCOA AND SHEA BUTTER TO MOISTURISE AND REGENERATE TIRED OR DRY SKIN. 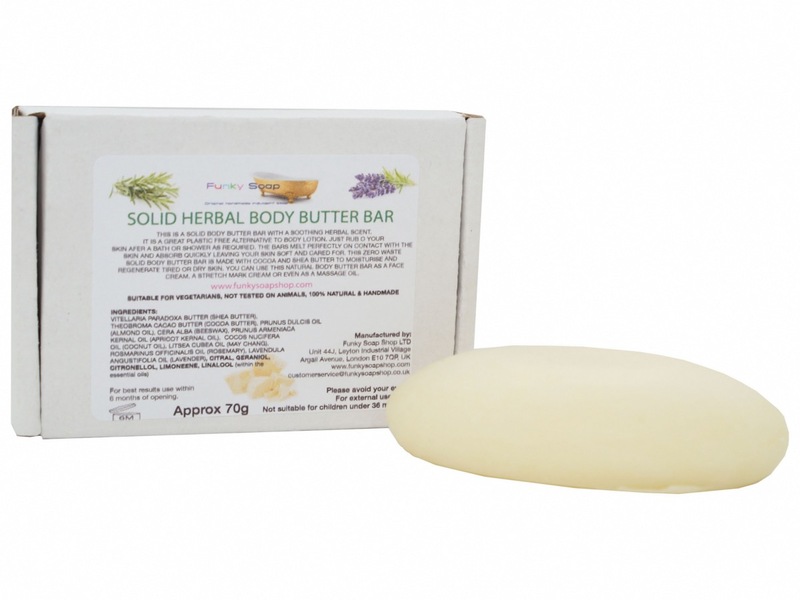 YOU CAN USE THIS NATURAL BODY BUTTER BAR AS A FACE CREAM, A STRETCH MARK CREAM OR EVEN AS A MASSAGE OIL. Lovely product. Smells good and great moisturiser. Love funky soap shop products. 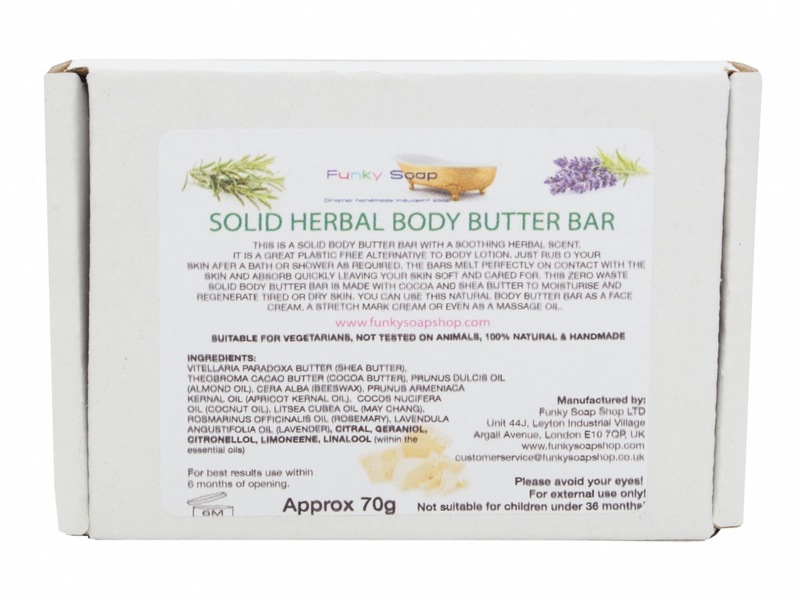 Great body butter bar, and it smells lovely too! Reasonable delivery times.